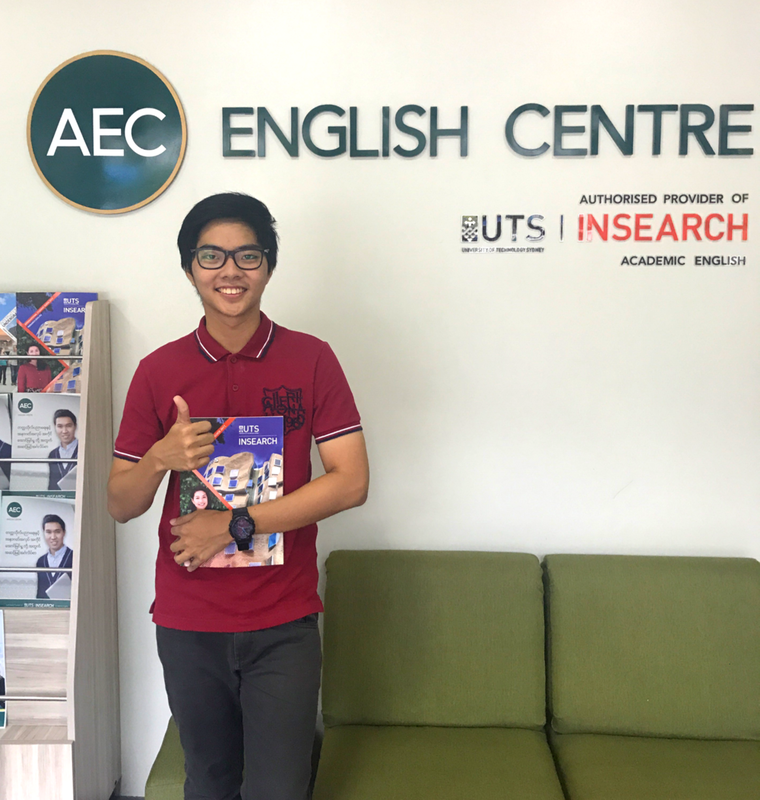 “I chose to study Academic English at AEC English Centre to gain direct entry to my Master's degree at the University of Technology, Sydney. The program surprised me by not only improving my English communication skills significantly but also helping me to adapt to university life in an English-speaking country. ‘I chose AEC English Centre for the dedicated and talented native English teachers. The skills I learned at AEC will stay with me for a lifetime. My English significantly improved after the 10-week course at AEC English Centre. Small-sized classes allowed me to get as much assistance from my teacher as possible. AEC English Centre makes me feel like I’m a part of the family. 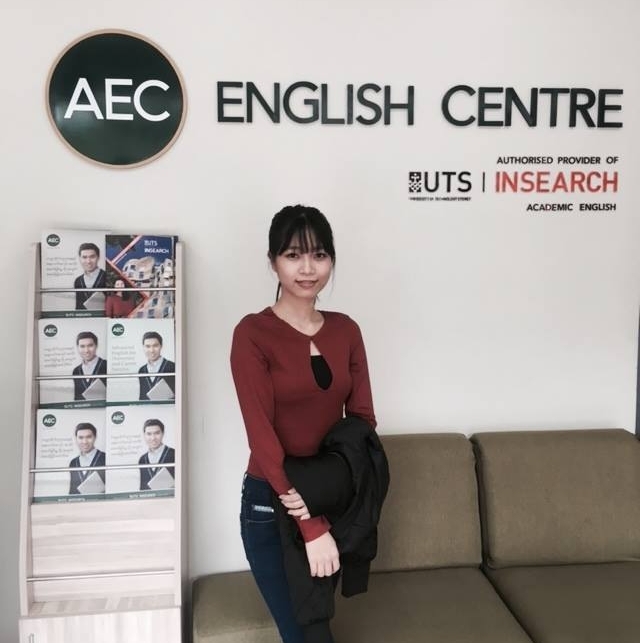 I got direct entry to UTS Insearch in Australia without taking IELTS by successfully completing Academic English level 5 at AEC English Centre. I am currently studying a Diploma of Communication (Digital and Social Media) at UTS Insearch. The teachers and staff at AEC are really friendly and helpful. What I learnt at AEC is still useful for me today, especially when I work on my assignments. The best part of AEC English Centre was the learning environment, as it was different to all the ones I’ve experienced. Not only did I improve my English skills, I also learnt how to work in a group and independently. I would recommend AEC because of the life-changing benefits it provides to students, and of the high quality Academic English qualification that is recognised by leading universities in Australia. "I have recently successfully completed Academic English Level 5 and gained direct entry to UTS Insearch without needing an IELTS score. 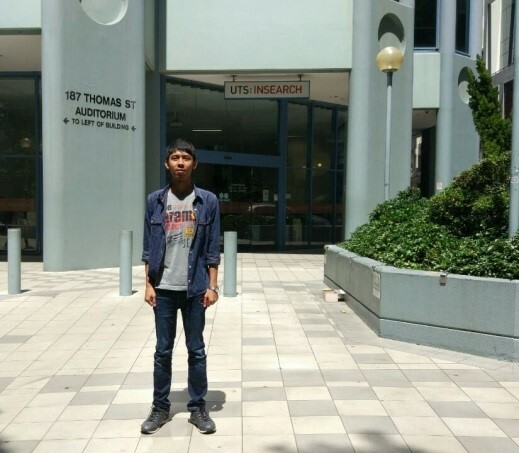 Now, I am planning to complete my Diploma of Engineering at UTS Insearch in Australia and after that to continue on to undergraduate studies at the University of Technology Sydney (UTS) in software engineering. 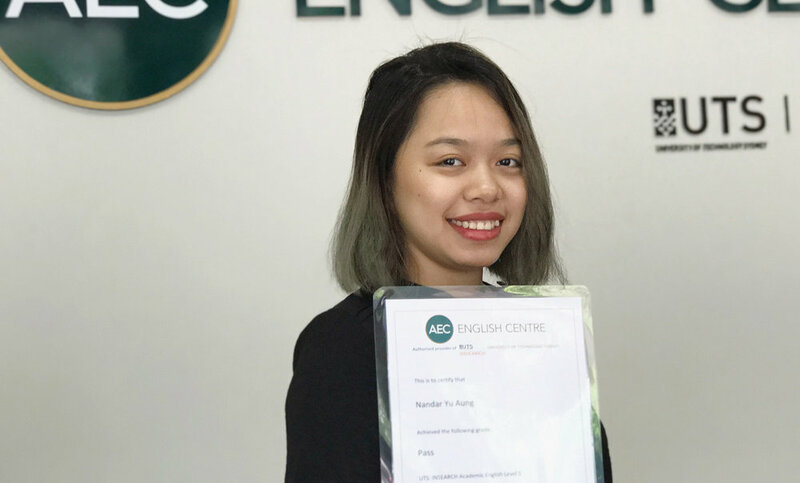 Studying at AEC has helped me to improve my English skills and has also increased my maturity and confidence. 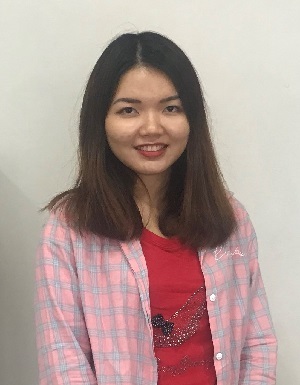 The teachers are both qualified and patient, supporting me to overcome difficulties and prepare me for western university learning styles that will help me to succeed when studying overseas. I highly recommend AEC as the best choice for all students who are planning to study at overseas universities without an IELTS score." I had studied Medicine in University of Medicine (1), Yangon. I am planning to take my undergrad studies (Business) at UTS Insearch Australia. Now I’ve got direct entry into UTS Insearch through Academic English course (AE Level 5) from AEC. I highly recommend you study at AEC if you have a plan to study aboard. 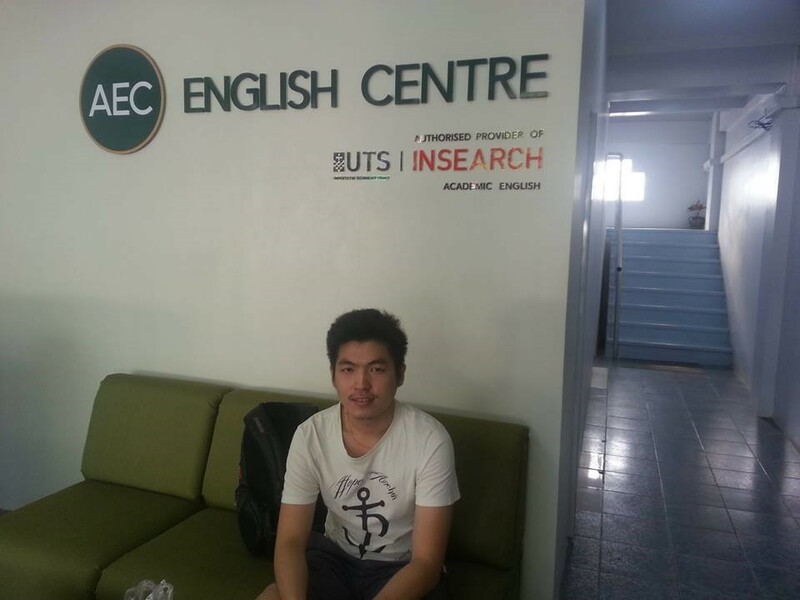 AEC totally helped me improve not only my English skills but also my confidence. Taking AE course at AEC helps you get direct entry in top 15 Universities in Australia without IELTS score. The English for Business Professionals course provided me with an incredible learning experience and I am able to apply the new skills in my work. All the teachers are highly qualified and professional. All those in the modern workforce should attend this course. — Khin Khin Tun, Frontiir Co.,Ltd.